What type of extraction canopy do I need and how can we get the correct system specified? Colin Hill design a whole host of different types of commercial kitchen extraction canopies systems which cater for a wide range of requirements. Depending on different kitchen layouts, sizes of kitchens, planning issues governed by your council, environmental health officer stipulations etc and the list goes on. The design element of the extraction system is broken down into three parts; the canopy, duct and fans. When designing and making your canopy we take many factors in to account. Cover a line of cooking appliances that back on to a wall, or L – shaped to fit over two walls for two cook lines. 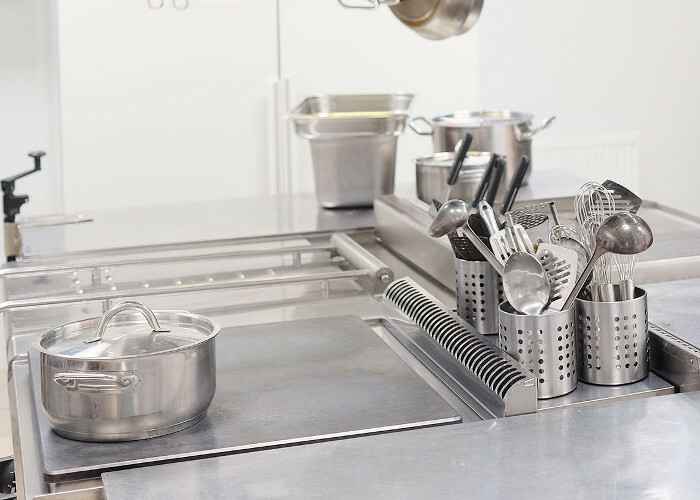 With all wall canopies, stainless steel wall cladding is fitted below to make your kitchen easy to maintain and clean in guidance with your EHO. Our island canopies cover cooking appliances that are in the centre of the kitchen and can be single or double sided. These can also be supported from the roof to maximise floor space. 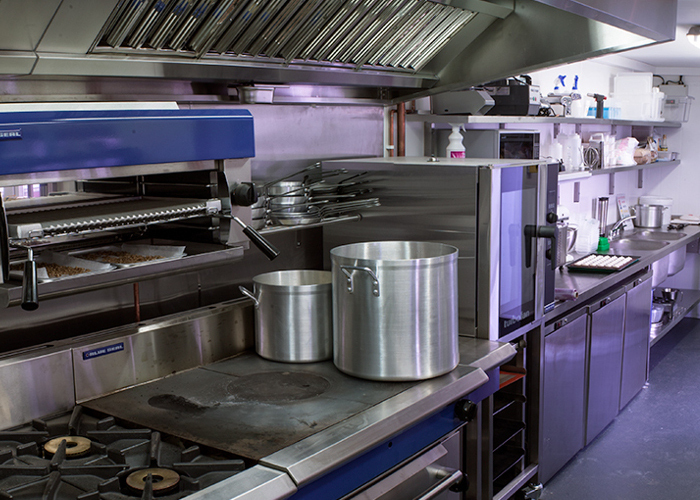 We can offer fully demount-able ventilated ceiling systems that provide a clean line of sight within the kitchen. The fully maintained system is easily reconfigured to allow for modifications of cooking equipment layouts. These canopies are not allowed above cook lines. They are mainly used with high steam producing equipment, such as boilers or dishwashers; require smaller extraction units above them. With these units it minimises dirt on ceilings and also water damage to walls and ceilings. The duct is a major point of the system. If the duct is not right then it can affect the performance greatly. We can create ducts that match any needs of a building, tall, small, curved or straight, tailoring it exactly to your needs. 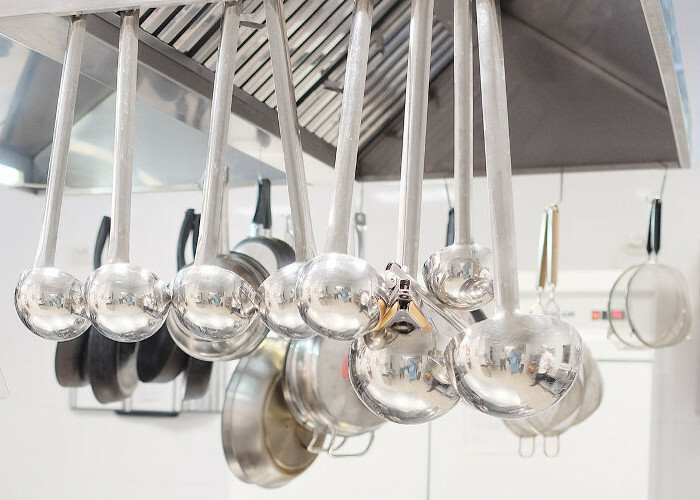 The fans are calculated through a range of technical calculations relating to the catering equipment and kitchen space in mind. If the canopy is mounted above gas equipment it will also have to incorporate a mechanical air intake fan so your system is compliant. Call Colin Hill direct on 01462 569100 to discuss your needs, or fill out our contact form to have us call you back at a time that’s convenient to yourself.